This is probably the most well-known and high-value South Indian joint in the South Bay. And I like that it's cheap. It's an inexpensive, bustling, authentic South Indian eatery. Come for the experience. Note for vegans: most South Indian food is vegan by default and non-vegan dishes will be highlighted for their use of butter/ghee/yogurt/etc. If in doubt, just ask. 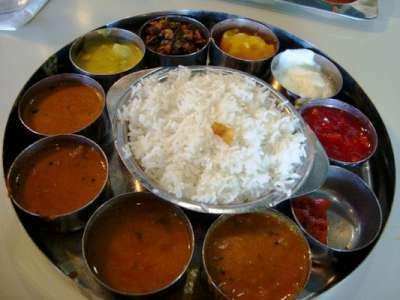 Let us know what you think about this awesome vegan friendly restaurant: Saravanaa Bhavan in Sunnyvale, California.